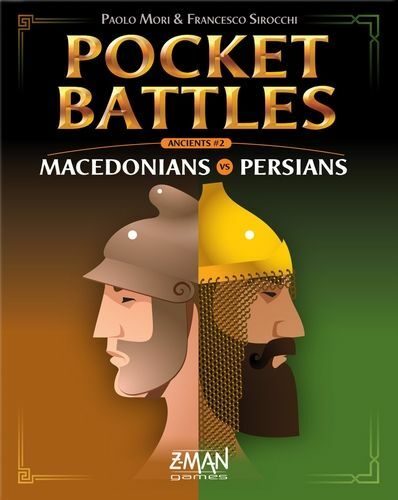 The ancient armies of Macedonia and Persia are yours to command in Pocket Battles: Macedonians vs. Persians, a tile-based war game. 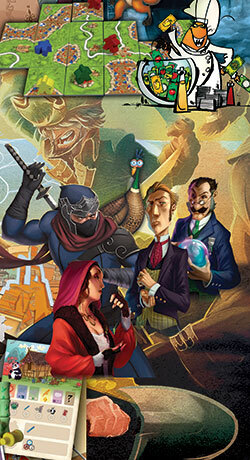 You'll fight on three fronts with armies you create for each battle, making every battle a new experience. Each Pocket Battles game depicts two armies. The rules for combat are the same in each Pocket Battles game so you can have armies from different series fighting: Elves vs. Romans! WW2 soldiers vs. Napoleonic forces! It's all possible with Pocket Battles. The basic rules of the game are simple; two armies face each other in battle. The armies are split into three columns and two rows. 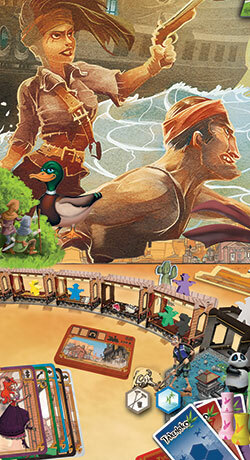 Players must decide, at the start of the game, how many points they will give to their armies, determining how many points it will take to defeat the opponents army. (At least half of the points). On you turn; you have to choose which faction of your army you will send off to battle! Attacks are made by using Order Tokens. If no Order Tokens are present on a unit, it costs just 1 token to issue orders to that unit. Issuing orders to the same unit in the same Battle Round would cost you the number of tokens present on the unit, plus 1. (So if there is one token on you unit, it would cost you two more tokens; if you had three, it would cost you four tokens, and so on). After a round of battle, you may choose to redeploy you units. (Units may move from the back row to the front row, from the back of a row to the back of another row, or from the front of a row to the front of another row). Redeployment will not cost you any Order tokens. The battle is over when one army defeats the other.